Grab some friends and get ready to arrive at the stadium in a one of a kind luxury limo bus for your next football game transportation. 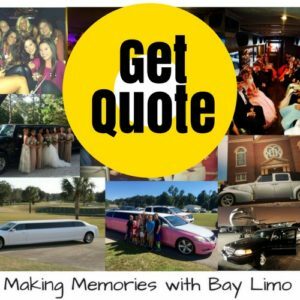 Bay Limo has several limo buses ready to take you to Tuscaloosa, Auburn, Mobile, New Orleans, Atlanta, Gainesville, Tallahassee, Miami, and anywhere in between. Our Ford Luxury Limo bus can hold 21 passengers, has a TV, DVD player, high-end sound system, and DJ light. If you need to party a little harder then step up to our 23 passenger Luxury Limo Bus. This party bus comes complete with an upgraded sound system, laser lights, 42” plasma TV, and a bar that is ready for you to stock with all of your favorite liquid refreshments. Have more than 23 people going to the game? 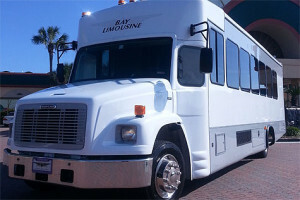 Bay Limo has a selection of charter buses that can help you out. Out charter buses have TV’s, comfortable seats that can hold over 40 people, and of course comes with a bathroom. However if you and your friends want the ultimate VIP limo bus experience then there is only one choice. The MCI Renaissance Luxury Charter Bus is one of the most luxurious limo buses on the gulf coast. It can seat 35-40 people and comes with all custom made VIP seating, 3 TV’s, 2 separate sound systems, CD, DVD, has a motion satellite, mood lighting, restroom, refrigerator, microwave, 2 A/C units, and a bar area. One look at the Renaissance party bus and you know why our famous stars and VIPs book this one for themselves and their friends. Of course when football starts this means it is also time to go back to school. Book a luxury VIP Limo bus today with Bay Limo and rock out with your friends at a concert one last time before you have to hit the books. We can take you to wherever your favorite band is playing and we regularly go to Concert Halls like The Warf and Civic Centers in Pensacola, Panama City, Dothan Al, and many other places. Don’t worry about who is driving or where you are going to park. 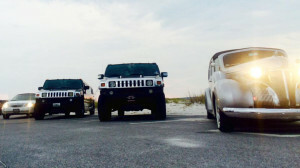 Just show up ready for fun and let our professional and courteous drivers take care of the rest. For more information or to book your ride, call us in Destin, Panama City Beach, Ft. Walton Beach, Navarre and Pensacola Beach. 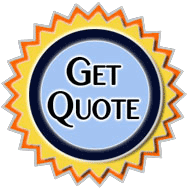 We are happy to answer any questions you may have on hours, dates, or pricing.